@Fraggles I can sense your disdain from here. 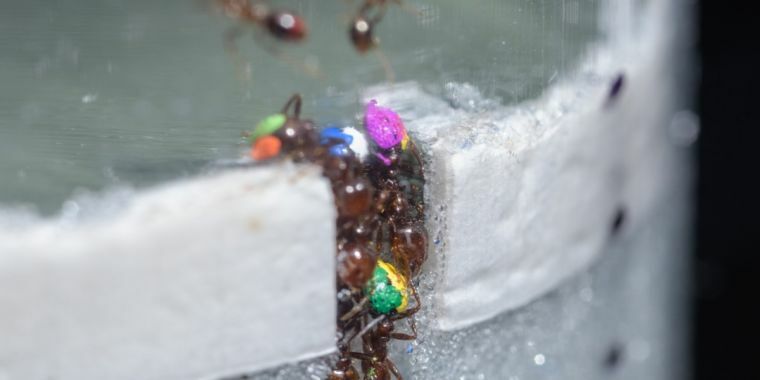 Study: 30 percent of ants in a colony do 70 percent of the work. That's a good thing. Yea! Some random dude…I think it was a drive by pooping… or pooper! Just realized my regular badge got removed. Oh well, I guess that’s what happens when life gets in the way and you can’t post for a while. Guess it’s time to go comment in a bunch of discussions. Resurrecting this thread because I got my anniversary badge as of 2 minutes ago!!! Yay for Chrono Birthdays . It’s been a pleasure being with you all. I apologize for those who got spammed with my likes last night. You helped me achieve my badge and I greatly appreciate you all!! You are not alone, YQM!!! Finally! This just made my day! 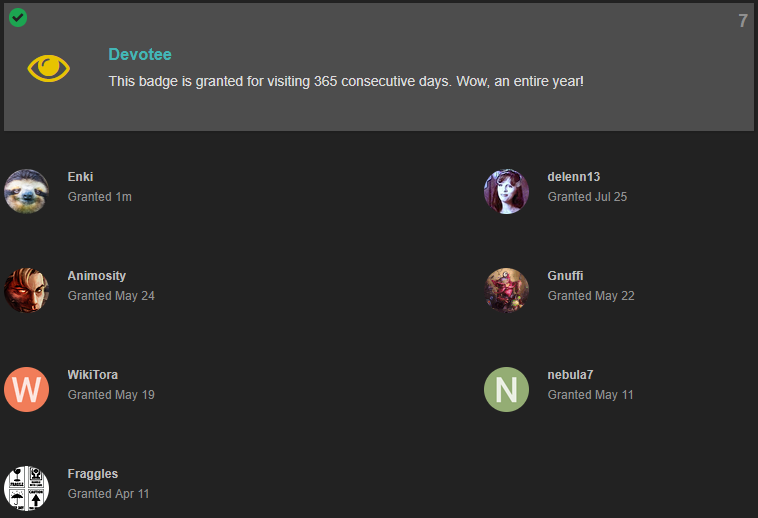 And congrats to @TR3NT for the recent badge get too! thanks & congrats on getting it too. Congrats to you both! That’s really impressive.